Paul G. Kent. 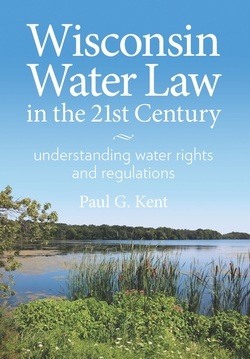 (Lake Mendota Publishing LLC © 2013) and Water Law Updates. To order copies go to Order Now Tab. For more information contact the author at pkent@staffordlaw.com. Copyright © 2013 by Paul G. Kent. All rights reserved. Printed in the United States of America. Except as permitted under the United States Copyright Act of 1976, no part of this publication may be reproduced or distributed in any form or by any means, or stored in a database or retrieval system, without the prior written permission of the author. Editorial and production services provided by CWL Publishing Enterprises, Inc., Madison, Wisconsin, www.cwlpub.com. Website photo of University Bay, Lake Mendota, Madison, Wisconsin by Natalie Buster. Used with permission.